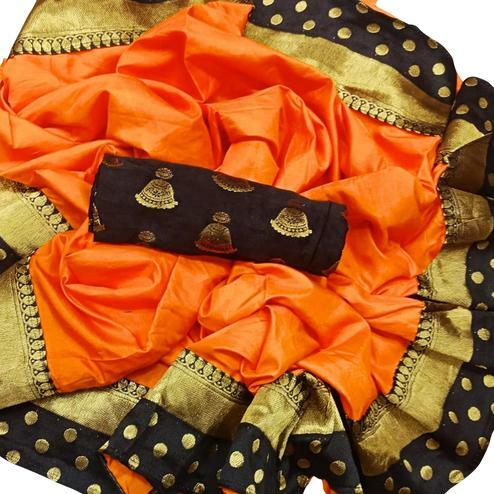 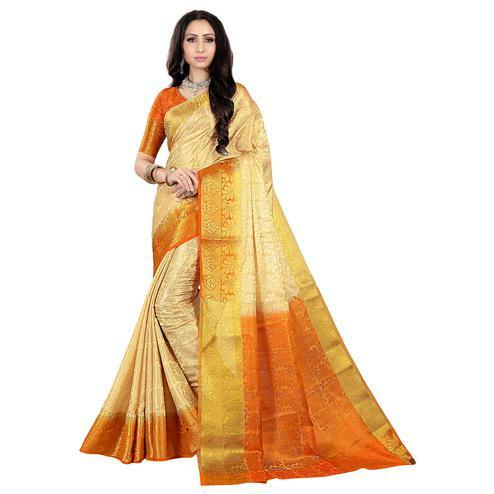 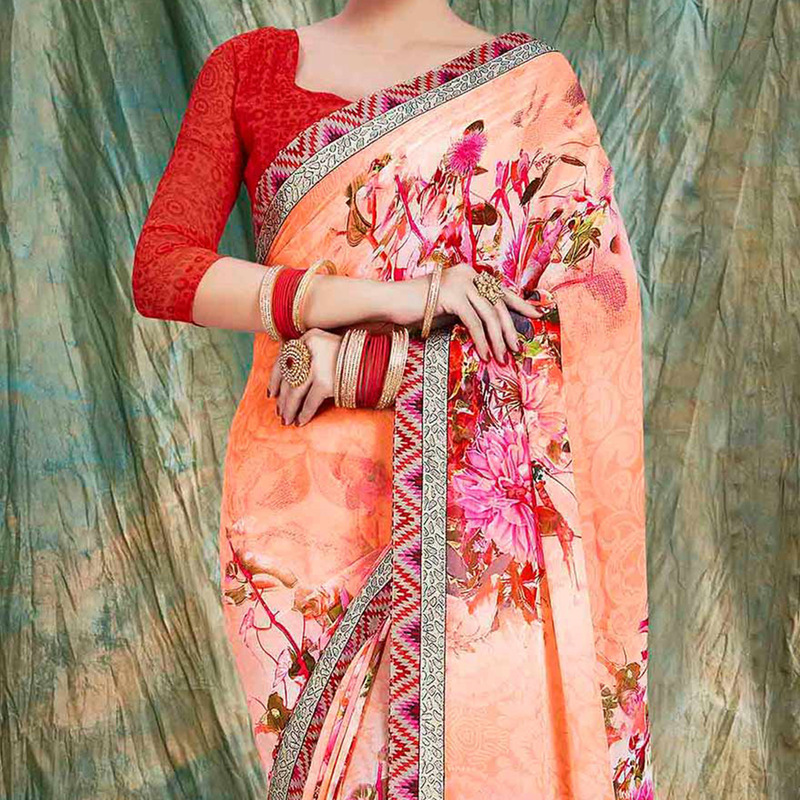 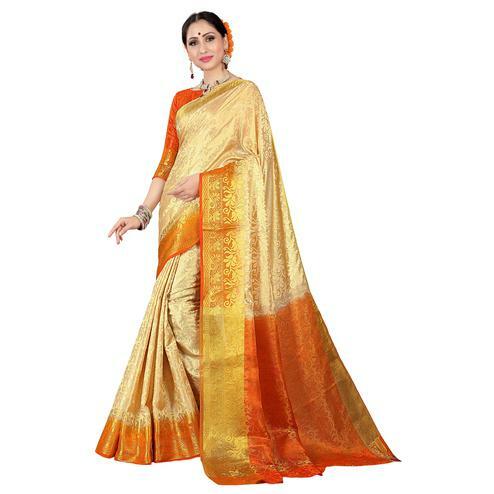 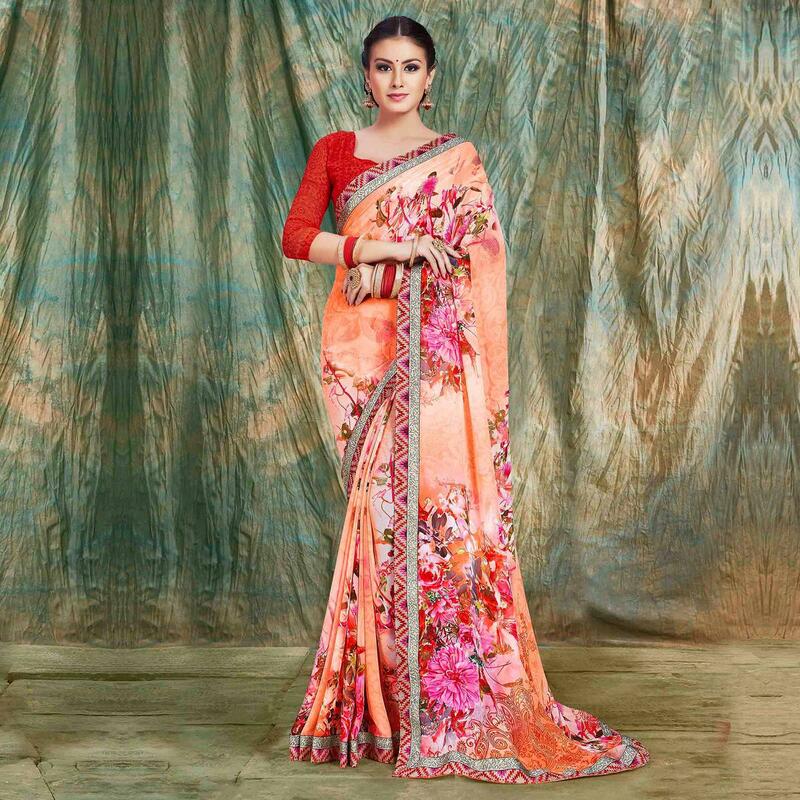 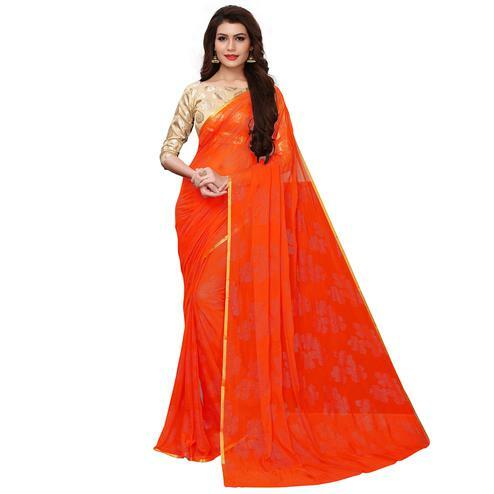 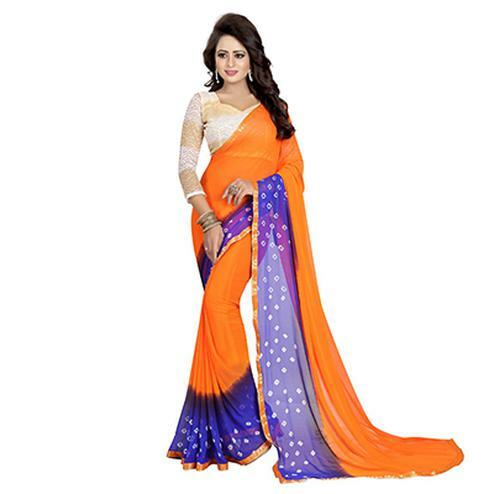 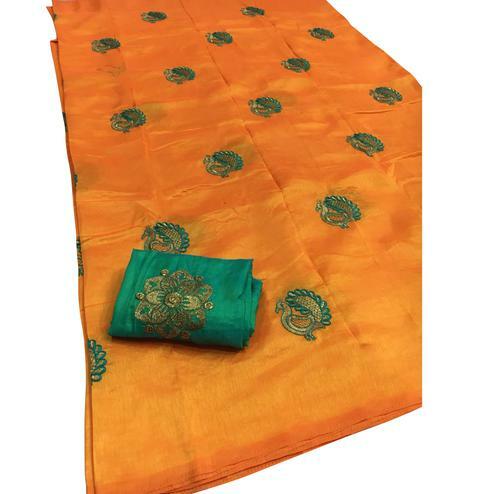 This orange color saree look has been prettified with attractive multicolored floral pattern prints done all over and geometrical print in contrast color at border. 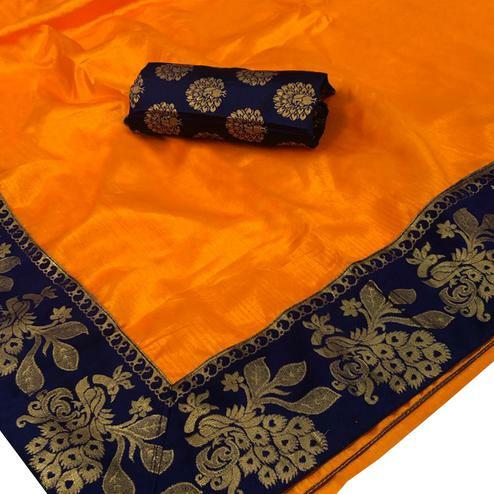 Saree paired with matching color and fabric blouse piece in unstitched type. 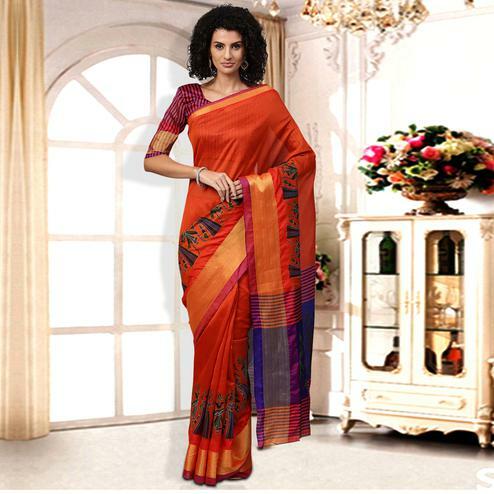 Ideal for casual and regular wear.